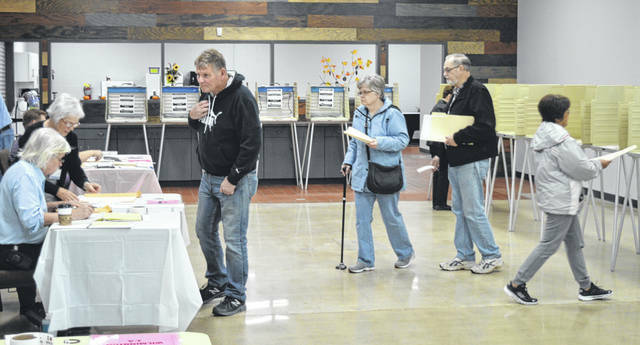 Mid-morning Election Day was comparatively slower than earlier at the Dove Church poll location off Rombach Avenue in Wilmington. Residents in three Wilmington precincts fill out their ballots at the church’s large lobby: 1-A, 1-B, and 2-A. 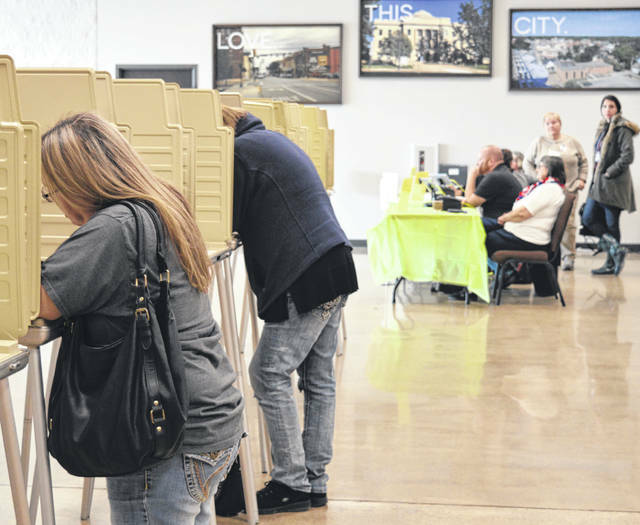 Tuesday’s ballots included local, state and federal contests and questions. Pictured is the Dove Church poll location which is for the residents of three Wilmington precincts. 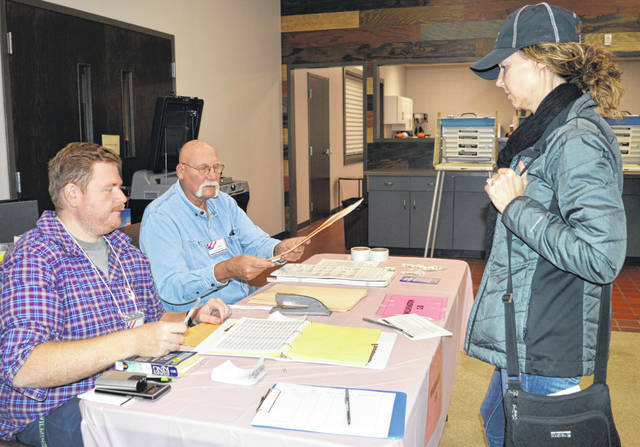 At the Wilmington 1-B Precinct table, Jennifer Main, right, is about to receive a ballot Tuesday morning from Lead Precinct Election Official Steven E. Geffre, center, while Precinct Election Official 2 Michael R. Allbright assists in the process.